In 2010 our founder Madge Megliola ASID, began the process of passing on the baton of ownership and day-to-day running of the business to focus more of her time on challenging design projects and international consultation. For the past 6 years she has served as American design consultant for several companies in China where she has traveled extensively. She continues to enjoy teaching, speaking, and designing in China and is still available by request to consult on local US projects. Madge is a professional designer with 30 years’ experience in the trade. She graduated from the University of North Carolina at Greensboro with a bachelor’s degree in interior design and has passed the NCIDQ exam (National Council for Interior Design Qualification). She has served as an adjunct professor in interior design at the University of North Carolina at Greensboro and High Point University. She has been a guest speaker and adviser to the High Point Design Center. 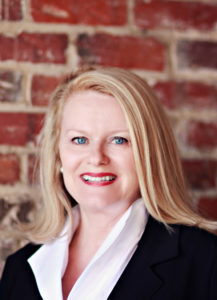 She is certified by the National Council of Interior Design Qualification and is a professional member of the American Society of Interior Designers (ASID) where she has served on the Board of Directors of the Carolinas Chapter (NCASID). Madge’s projects include numerous high-end residences and boutique hotels.